Sheila Pepe is a Brooklyn based artist. 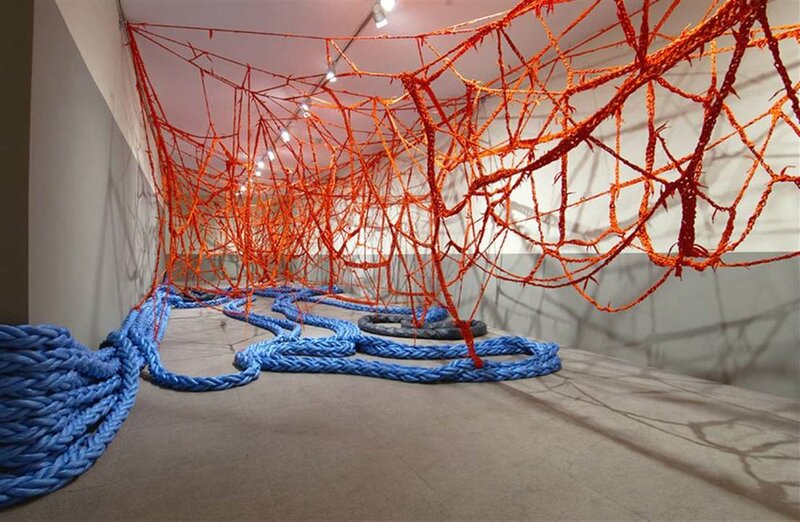 Her “improvisational crochet” fibers-based sculptures and installations explore formalism, feminism and craft. Her recent solo exhibition. “Hot Mess Formalism,” was organized by Phoenix Art Museum, and traveled to Bemis Center for Contemporary Arts, Omaha; the Everson Museum of Art, Syracuse; and the deCordova Sculpture Park and Museum, Lincoln, Massachusetts. Pepe’s work has been included in important group exhibitions such as the first Greater New York at PS1/MoMA, New York, NY; Hand + Made: The Performative Impulse in Art & Craft, Contemporary Art Museum, Houston, TX; and Artisterium, Tbilisi, Republic of Georgia. Her work is held in numerous public collections including the Fogg Art Museums at Harvard University; Rose Art Museum; and The Smith College Museum of Art.